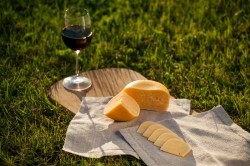 High quality hard cheese made from unpasteurised morning milked cows’ milk. 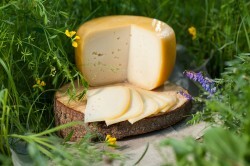 Ievas siers cheese gets its unique taste, which distinguishes it from other cheeses, from the quality of the milk and the special production process. 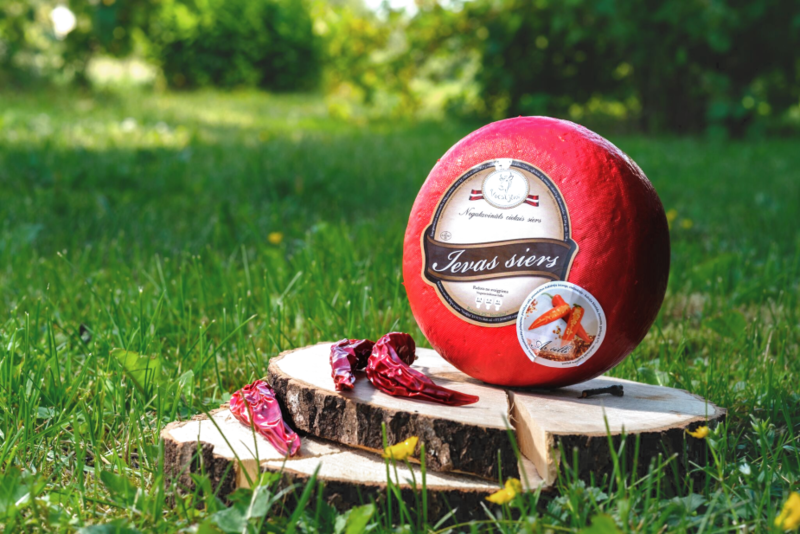 Gourmet customers can enjoy Ievas siers cheese in three different stages of aging – 2-4 months, 4-6 months and more than 6 months. Well-aged cheese from Vecsiljāņi will engage the attention of cheese lovers with its sophisticated flavour, aroma and texture. 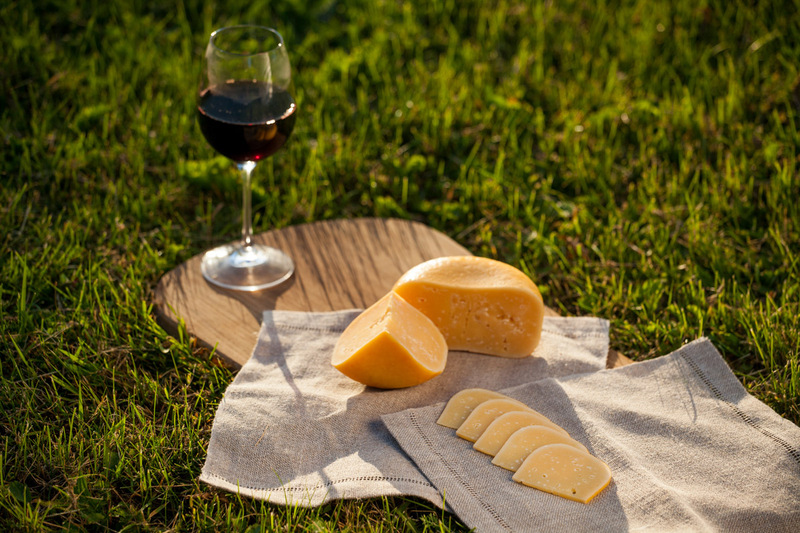 Aged cheese can be enjoyed as a snack on its own, as a flavour enhancer for salads and pasta as well together with red wine. 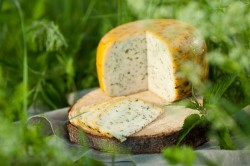 Clover seeds add a lovely walnut taste to the cheese. The so-called cheese clover has been known since ancient Egyptian times where it was used for medicinal purposes. It is renowned for its ability to lower cholesterol levels, regulates sugar levels in the body, cleanse blood, the liver and kidneys and is an active ingredient for countering the effects of anaemia and fatigue. Nettles have been part of Latvian cuisine for centuries. Nettles have surprising healing qualities and a unique taste. 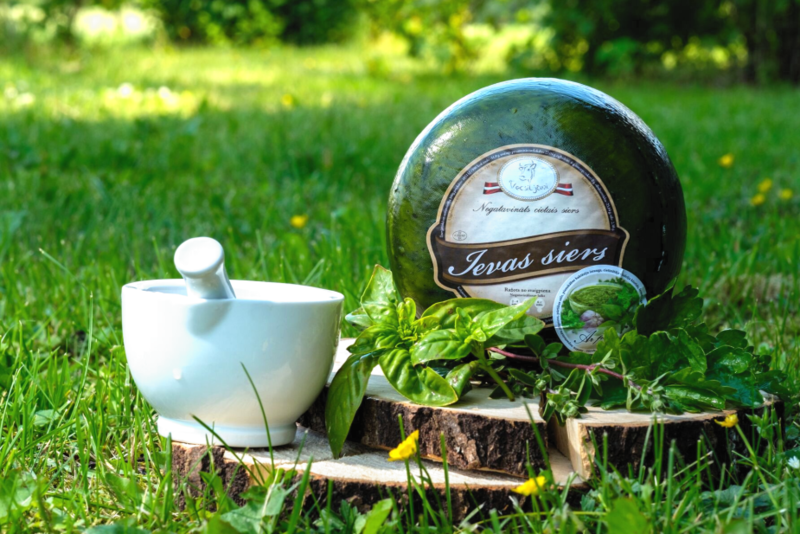 They are a good source of calcium, magnesium, iron and potassium and are rich in vitamin A and C. In the kitchen, nettles are a great addition to soups, salads and infusions, and in the Vecsiljāņu Farm, a lovely addition to the delicious Ieva’s Cheese. 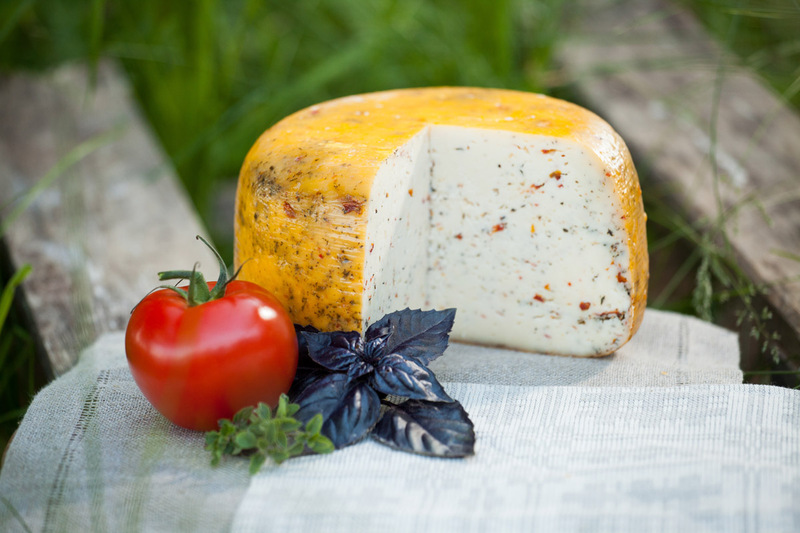 Small pieces of sun-dried tomato, basil and thyme add the nuances of Mediterranean cuisine to this cheese. This cheese is ideal for Italian dishes. 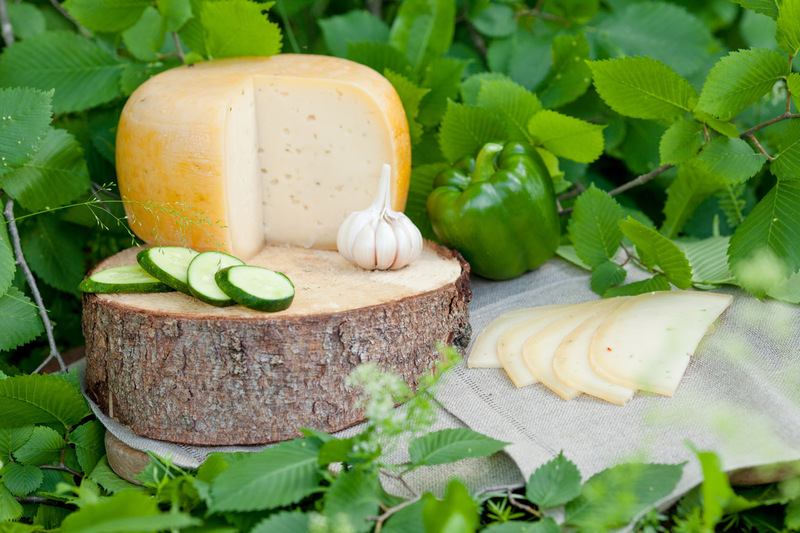 This cheese has been especially created for lovers of spicy cheese. The onion favour dominates, but the ginger and horseradish give the cheese its bite. 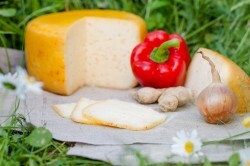 Garlic is well-known for its unique qualities – to warm and heal in the winter and to cool and energise in the summer. 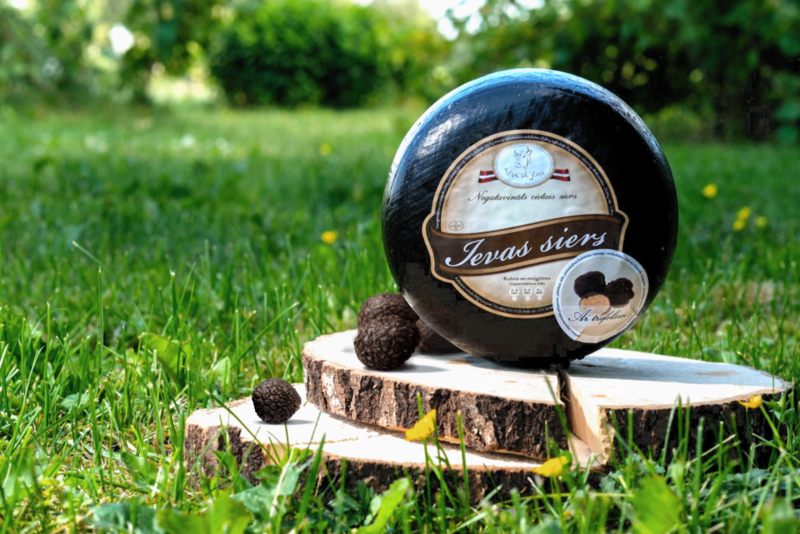 Garlic lovers will appreciate its astounding compatibility with green peppers and cucumber that have combined in this sophisticated Ieva’s cheese flavour. Truffle – valued sort of mushroom, aristocrat of the Mushroom Kingdom. Exquisite delicacy. 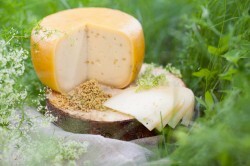 Cheese with cayenne pepper flakes – true adventure of taste. For spicy food lovers. Cheese with classic Italian pesto flavor – oregano, basil, garlic, pepper, paprika.